Why Should I Choose an Adjustable Bed? For almost 50 years, Electropedic has perfected the Art of Sleeping. Rest and relax in unparalled comfort on an Electropedic Adjustable Electric Bed. By simply making adjustments to the head or foot, every inch higher or lower is a different weight and pressure on your entire body. Experience Zero gravity, and the best support and blood circulation possible by sleeping on an adjustable bed. Do I need to get a Whole New Bed Frame Too? Electropedic® Adjustable Beds are designed to look exactly like a regular bed. Every dimension goes by National Bedding Industry Standards. Optional Connection to a headboard is just as easy as if you had a flat, regular bed. With the most experience in the adjustable bed industry, there is simply not a better built product available on the market today. The Electropedic has the World's Best-Built Adjustable Bed Motorized Frame. It has the sturdiest motors, foundation, casters, and a sophisticated wireless hand control option. Most importantly, it comes with the best written warranty in the business! Twin Regular 38" x 74", Twin XL 38" x 80", & Twin Cal King Length 38" x 84"
Full Regular 53" x 74", Full XL 53" x 80", Full Cal King Length 53" x 84"
California King Size 72" x 84", Eastern King 76" x 80"
What Options are Available for the Mattress? Innerspring: Each Latexpillo Mattress is hand-crafted and is the product of almost 50 years of perfection. The top and bottom layers of 100% Pure Talalaly Latex, combined with the top-of-the-line 650 pocketed coils in the middle . 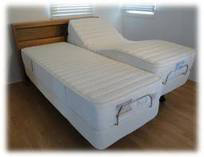 . . provide unsurpassed comfort, support, pressure relief and durability. Available in Soft, Regular Firm, Extra Firm and Ultra Firm. 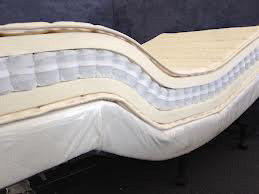 Surrounded by 2" of Latexpedic® PURE TALALAY LATEX FOAM on both sides; with your choice of (4) four different PilloTop firmnesses: Soft, Regular Firm, Extra Firm and Ultra Firm. Offers great Support, Cushioning, Pressure-Relief, Breathability, and Durability. Designed to be completely reversible, with handles on both sides, and backed by a 20-Year Warranty. 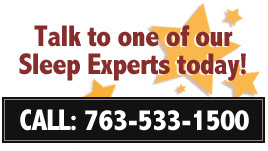 Visit one of our Sleep Experts at our Sleep Concepts Showroom to experience the World's Best Built Adjustable Beds, or Call Today for a Fast Quote!